Any type of commercial or military type insulated electrical wire or jacketed cable is available as a hermetic, gas-tight, fluid-tight, vacuum-tight bulkhead pass through seal for both low and high Pressure And Vacuum Electrical seals including bi-directional pressure direction uses. Operating temperatures can vary and be modified depending on the design and materials from -200C to 200C depending upon the design and customer requirements. 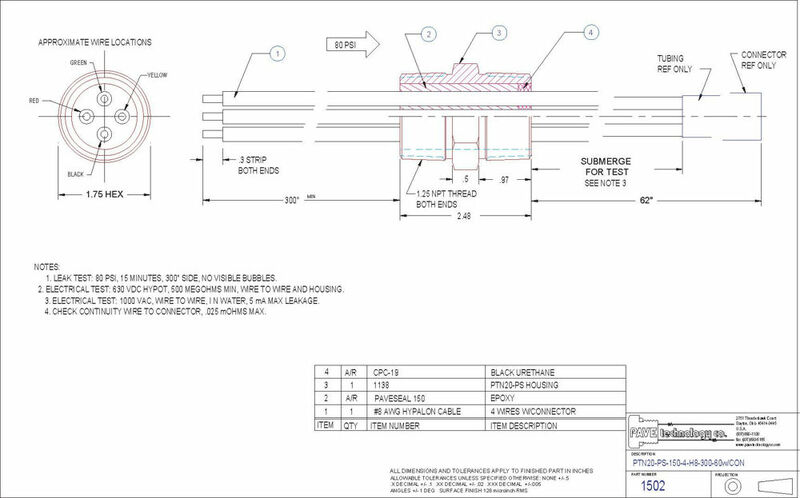 All our seals are hermetic, meaning they will pass a very low helium leak test (10^-9cc/sec depending on design), regardless of the leak test shown on the drawings that also can be modified. 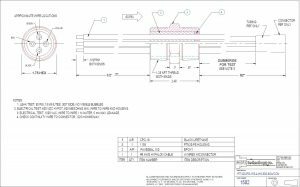 In most cases, the seals are also capable of significantly higher pressure as well than what may be shown on the drawings if so requested. There is no detectable leakage of gasses or fluids anywhere in the seal including through the interior of the wires and the wires can be cut shorter with no effect on the seal. 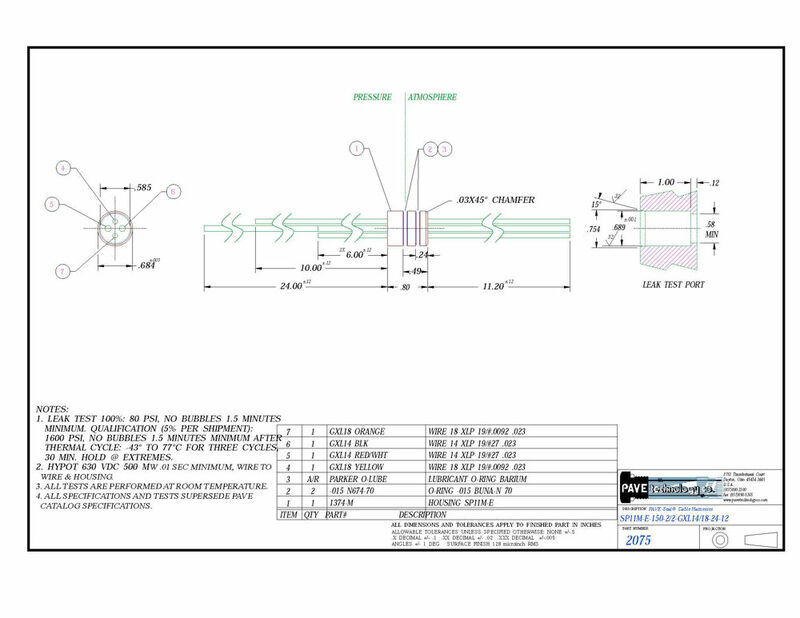 Both standard and custom design hermetic seal designs are available for both small and large quantities with a variety of mounting styles and cost-efficient and compact high wire density space-saving designs, most using o-rings either piston or face seal with NPT seals and electron or laser weld designs also available. Our hermetic epoxy wire seals are highly resistant to chemicals of all types including solvents, fuels, oils and gasses and are NASA and AMAT approved for low outgassing in high vacuums to 10^-8 Torr. Epoxy samples are also available for customer testing as well. The below listhas PDF links to our current designs, arranged in ascending order of the number of wires or conductors grouped in mounting style. 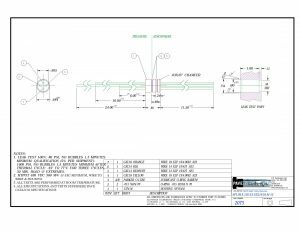 If you need a customized hermetic wire feedthrough seal, please either mark up any PAVE drawing for your desired changes or send your own drawing or sketch for quoting and we will be glad to quickly assist you in your hermetic seal design requirements.